The New 9lessons Labs Application. Introducing the new 9lessons labs powered by Wall Script 4.0 and collaboration of 9lessons blog tutorials. I did lots of changes in existing code and functionality. 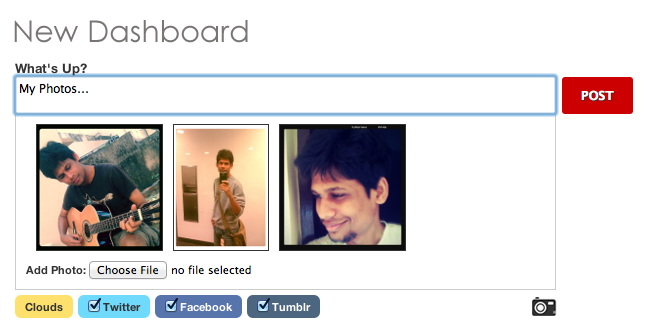 Added new features like conversations and photo sharing and improved Facebook, Twitter and Tumblr Oauth connectivity. 9lessons labs hosted at Amazon EC2 and image uploads at Amazon S3 bucket and object caching system with Memcached server. Current 9lessons labs architecture. Rich Jquery + Ajax + PHP implementation. Now you can share your images via 9lessons labs. User conversation system and love button. This is great idea..but need to sure that it will allow account setting from other social networks accounts..i.e: must import all account information from facebook or twitter. but if your post "wwwww" it converted to a link ! you are my idol blogger and developer. Can you include this in the Wall 4 script for those of us that have purchased it? I think the memcache piece is the most interesting to me. It seems that there is no Expanding Link Plugin. Am I right ? Does wall script 4.0 contains the lab ? What about updates if I buy the wall script 4.0 ? Superb implementation on Labs. I agree with Zuzu though. Why not start a social network exclusively for developers. Keep up the good wotk..
how we can download it.., so that we can learn and also contribute to this open source product..??? ps: I also need a small help, is it okay to review the apps of mobile on my blog and youtube does this make any copyright issue? Hi..I am looking for some detailed tutorial only on "SignUp with Facebook and Google". Can you share some link to your post ? Srinivas, i was actually looking for this kind of script and finally found. i want to use this on my site. this is really amazing. i really like.